Lottoland Scratchcards: Strike It Rich – Anytime, Anywhere! If you're itching to get hold of some instant cash prizes we've got just the thing for you to scratch. No more waiting around until after the draw to see if you've won a lottery bet. 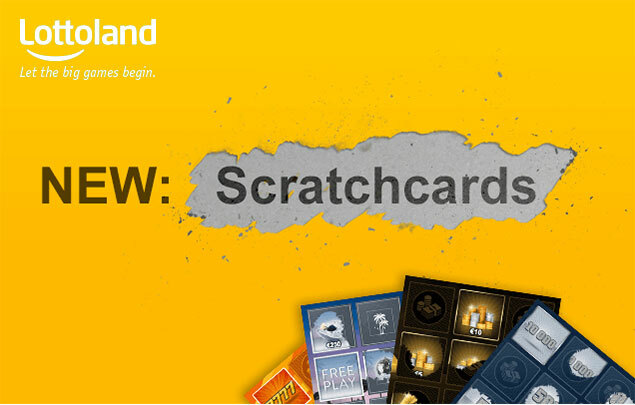 Lottoland now brings you all the fun and excitement of playing scratch cards with the ease and convenience of digital gaming so now you can win big anytime, anywhere. There's some big changes happening here at Lottoland, no doubt you've noticed. Hot on the heels of the launch of our new lotteries to bet on, we are also proud to announce our new Lottoland Scratchcards! The best way to get rich is to get rich quick – and our scratchcards were created to help you do just that. Simply scratch to win, just as you would with a traditional scratchcard, for instant cash prizes. Unlike old-fashioned cardboard scratchcards, however, you don’t need to bring them to the store to cash in – wins are instantly credited to your player account. Just one pound could make you £100,000 richer in seconds! Not a bad little investment if lady luck is smiling. Plus the game has other prize tiers including additional cash prizes and free games. Match three symbols for a guaranteed win. "Don't Worry, Be Happy" – younger players may not remember Bobby McFerrin's one hit wonder from the late 80s, don't worry you've not missed much. Everyone else is now going, "oh great thanks for putting that in my head." Unlike poor Bobby's career, however, this game has far more built-in longevity. All it takes is £2 and about the same amount of seconds for you to win £5,000 – a month, for ten whole years! That's a total of £600,000 to be paid out over a decade, enough for you to live the easy life for a while. Plus, as with all our scratchcards, there's plenty of other prizes to be won including instant cash prizes of £5,000 and £50,000! 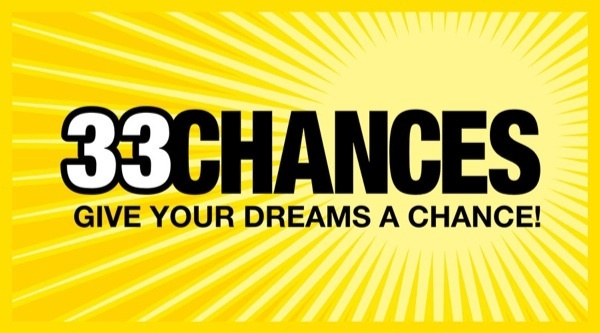 33 Chances is a fun and simple scratchcard game which, as its name suggests, gives you a total of 33 chances to win in different ways. The game costs just £2 to play and you can win anything from £2 all the way up to £20,000 instantly. The great part about this game is that it also comes with a multiplier, located at the bottom of the card area, which will multiply any wins resulting in even bigger cash prizes! Who doesn't want to be an instant millionaire? For a modest price, a little scratch and a bit of luck your life could be changed instantly. Match three values to win – goodbye dreary 9-5 slog, hello champagne lifestyle! Altogether this premium game offers more than £3 million in prizes – you won't find scratchcards like this at the corner store! Looking for something cheap and very cheerful? Then this is the game for you. It only costs 50p to play and has great prize odds, including seven chances to win the grand prize of £7,777 – instantly. The number 7 has never been so lucky! Our new Lottoland Scratchcards bring all the fun, simplicity and big wins of regular scratchcards with the convenience and security of playing with Lottoland. No need to hold on to your card and go back to the shop – when we say you win instantly we mean it! Any wins are immediately credited to your player account allowing you to play again or withdraw it straight to your bank account. In other words, from as little as 50p, you can win big cash prizes – up to £1 million can be won and sent directly to your bank account in seconds! So if you're job's giving you itchy feet it's time for some serious scratching! Grab one of Lottoland's new scratchcards and you could win big! Strike it rich – anytime, anywhere!